Lean started out as a response to scientific management practices in manufacturing. Organisations sought efficiency through processes, rules, and procedures and management was mostly about control. But in modern business, control is a falsehood. Things are too complex, too unpredictable, and too dynamic to be controlled. Lean offers a different mindset for managing any system of work. It’s fundamentally about exploring uncertainty, making decisions by experimenting and learning and empowering people who are closest to the work to decide how best to achieve desired outcomes. Lean says be adaptive, not predictive. Agile is related to Lean. The differences are mostly about what these mindsets are applied to, and how. In conditions of high uncertainty, Agile offers ways to build software that is dynamic and can adapt to change. This isn’t just about pivoting. It’s also about scaling and evolving solutions over time. If we accept that today’s solution will be different from tomorrow’s, then we should focus on meeting our immediate needs in a way that doesn’t constrain our ability to respond when things change later. The heart of Agile is adapting gracefully to changing needs with software. Recital 63 of the GDPR states, “a data subject should have the right of access to personal data which have been collected concerning him or her, and to exercise that right easily and at reasonable intervals, in order to be aware of, and verify, the lawfulness of the processing.” The procedure for making and responding to subject access requests remains similar to most current data protection laws, but there are some key changes you should be aware of under the GDPR: In most circumstances, the information requested must be provided free of charge. Organisations are permitted to charge a “reasonable fee” when a request is manifestly unfounded, excessive or repetitive. This fee must be based on the administrative cost of providing the information. Information must be provided without delay and within a month. Where requests are complex or numerous, organisations are permitted to extend the deadline to three months. However, they must still respond to the request within a month to explain why the extension is necessary. This polymer’s movements activate a switch in the robot's body attached to a paddle. Once the paddle is triggered it behaves like a rowing paddle pushing the small robot forward. The polymer strips have the unique ability to behave differently according to their thickness. Therefore, the engineers used a variety of strip sizes to generate different responses at different times resulting in robots that can swim at different speeds and directions. The engineers were even successful in making the mini robots drop off a payload. "Combining simple motions together, we were able to embed programming into the material to carry out a sequence of complex behaviors," says Caltech postdoctoral scholar Osama R. Bilal, co-first author of the paper. The team is now researching adding other functionalities to the robots such as responding to environmental cues like pH or salinity. They are also looking into redesign the devices to be self-resetting according to temperature shifts, enabling the robots to swim forever. The engineers have some very ambitious potential projects for their little machines such as delivering drugs and even containing chemical spills. This week was an important one of the autonomy of small robots. The Fintech Files: Do we expect too much from AI? While many think AI is the future, lots of financial institutions are using it to tidy up the past. Innovation labs and centres of excellence sound impressive, but behind the grand declarations, experts know that with AI the output is only as good as the input: you need solid data for it to work. And that’s the main problem for so many institutions. Internal data is often messy. For now, Nomura’s AI lab is designed to tackle just that; dealing with historical data as well as making sure all live data is stored consistently so it can be used for analytics in the future. Something else that is holding up progress: Unlike collaborations in blockchain, we haven’t seen many banks teaming up on AI yet. Hardly surprising, given its potential competitive advantages. But it makes it hard to gauge what City firms have achieved so far, Mohideen said. The AI hype started off with visions of robots taking over the trading floor. At the moment, most of them are still just doing admin. "Most industries face an ambitious regulatory agenda, and have been doing so for years. When considering GDPR two things happened: Firstly, it was de-prioritized in relation with other topics with an earlier deadline, secondly organizations have been -- across the board -- underestimating the impact of the new legislation on processes and systems. When GDPR was eventually picked up in a structural way, it has become increasingly clear to most organizations that, although they will be able to put into place policies and processes, the long tail will be in the implementation of various aspects into the (legacy) IT landscape. This is bound to be a large part of the post May 25 backlog for most of them. Strategically not complying should be a thing of the past, where previous legislation would in the worst case fine relatively small amounts. GDPR more fundamentally will become part of the license to operate with serious implications, both monetary as well as reputational. The biggest fear for heads of communication and board members alike is becoming the showcase in the media in the coming weeks, months." Despite what you may have heard elsewhere, the future of work in a world with artificial intelligence (AI) is not all doom and gloom. And thanks to a research-backed book from Malcolm Frank, What to Do When Machines Do Everything, we have data to prove it. Also, thanks to new educational approaches, we are better equipped to prepare students and misplaced workers for a future with AI. All of these topics were covered at Cornell’s Digital Transformation Summit, where my colleague Radhika Kulkarni and I spoke alongside Frank and some of our country’s top educational leaders. Frank, Executive VP of Strategy and Marketing at Cognizant, says we’re experiencing the fourth industrial revolution. He anticipates that the percentage of job loss from AI will correspond with job loss rates during other periods of automation throughout history, including automation through looms, steam engines and assembly lines. Fundamentally, workforce changes from AI will be like those during the industrial revolution and the introduction of the assembly line. About 12 percent of jobs will be lost. Around 75 percent of jobs will be augmented. And there will be new jobs created. Experts are good at finding great ways to utilize limited resources, which is particularly important at Gatwick. When aided by IT however, they can do even more. Machine-learning can detect busy areas in the airport through smartphones and tracking these results over the long term can provide key insights into optimizing day-to-day operations. When making decisions, Gatwick’s management will be aided with powerful data that can provide insights not attainable with more traditional technologies, and new the IT infrastructure will be a key to this analysis. Facial recognition technology will boost security as well as track late passengers, and personalized services based on smartphones or wearable technology can provide valuable updates to travellers on a personal level. Dealing with lost baggage can be a time-consuming and often stressful process. 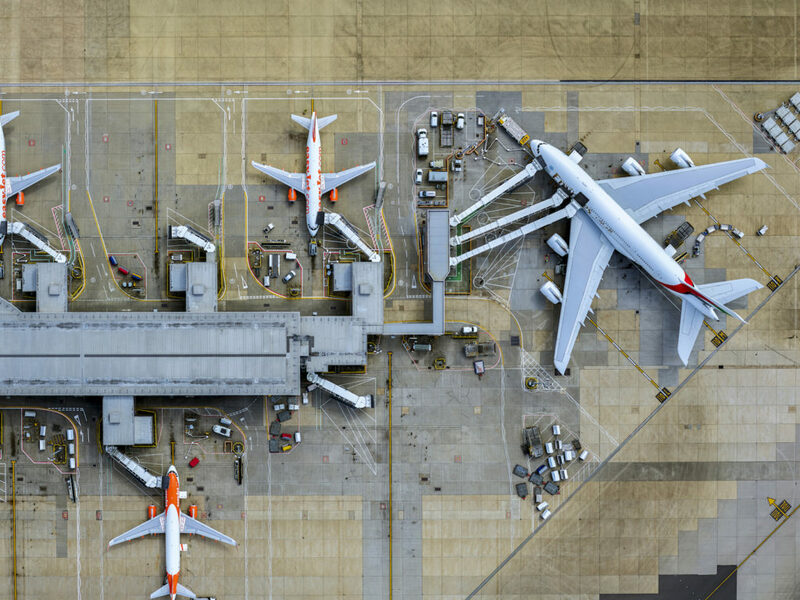 Armed with its new IT infrastructure, Gatwick and its airline operators are poised to offer a better alternative. Being able to track luggage and its owners creates new opportunities for simplifying the check-in and baggage claim process, helping get travellers in and out the the airport in a prompt and seamless manner. What Is The Future Of Cryptocurrencies And Blockchain? The cryptocurrency market is highly volatile. 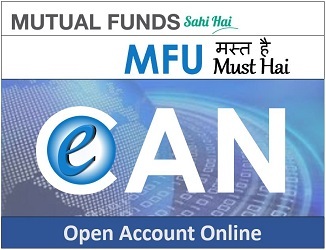 More than anything, currently they are serving the investors a speculative instrument. There are huge risks involved and many nations have been restraining it in some way or the other. Many scholars and industrial leaders have stated that Bitcoin and many other cryptocurrencies are some sort of Ponzi schemes. So when asked about what the future of cryptocurrencies looks like, Simon is quite optimistic about it. Rather than focusing upon their day to day movements, if one looks at the big picture, then it is quite evident that these currencies serve some particular function. ... Another important point of observation is that even though more and more nations are banning some or the other cryptocurrency, especially in Southeast Asia, more money has already been invested in the ICOs in the first four months of 2018 than the whole of 2017. This clearly indicates that more and more institutional money has been moving to the crypto world. It is probably no longer enough for board members to just have a simple understanding of regulatory updates like VAT or IFRS 9. They also need to better understand how emerging technologies such as fintech, regulatory technology (regtech), blockchain, can contribute to disrupt future banking operations and the financial sector in general. Boards of directors at banks still have ample opportunities to reshape their business models, and by leveraging technology, they can develop products that create further competitive advantage. To strengthen governance by the board even further, banks must also develop a skills matrix that includes knowledge and experience in financial reporting and internal controls, strategic planning, risk management, and corporate governance standards. The skills matrix, which should ideally be completed by the board, can include specialist requirements for capital markets, risk management, audit, finance, regulatory compliance and information technology (IT). Some banks in the UAE have started to appoint directors in accordance with the expertise requirements in the matrix. Researchers note that MyEtherWallet is an appealing target for attackers because it is simple to use, but its lack of security compared to other banks and exchanges make it a prominent target for attack. Once the user hits a MEWKit page, the phishing attack gets underway with credentials including logins and the private key of the wallet being logged by the attackers. After that, the crooks look to drain accounts when the victim decrypts their wallet. The scam uses scripts which automatically create the fund transfer by pressing the buttons like a legitimate user would, all while the activity remains hidden -- it's the first time an attack has been seen to use this automated tactic. The back end of MEWKit allows the attackers to monitor how much Ethereum has been collected, as well as keeping a record of private user keys and passwords which can potentially be used for further attacks. Those behind MEWKit appear to have been active for some time and have carried out some sophisticated campaigns. Researchers say MewKit demonstrates a "new dedicated effort from threat actors to pursue cryptocurrency"